In among all the Georgian and Victorian lumber, sorry – legacy, on display at Wolverhampton Art Gallery, there is at least a good big Fuseli. Meaning Henry Fuseli, painter of extremes, connoisseur of fetishistic coiffures and prolific purveyor of mad stuff to the gentry of the Enlightenment. 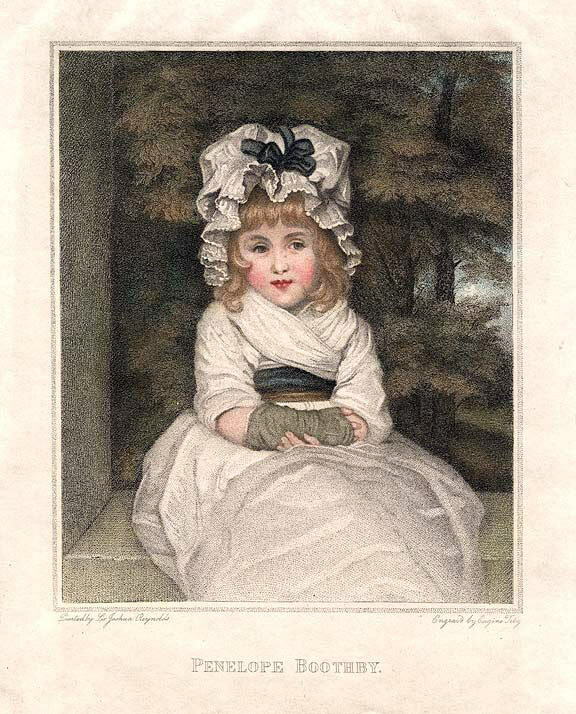 But Nature turned very savage on Sir Brooke when in 1791 his only child Penelope died at the age of five, a tragedy from which he never recovered. His wife left to live permanently with her parents, he neglected his estate and his financial situation went into terminal decline. He died in Boulogne as a genteel but impoverished ex-pat. Boothby’s grief was inconsolable, and Reason succumbed to Sensibility’s iron grip. 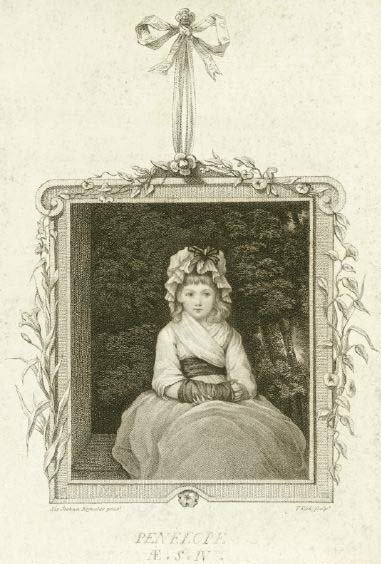 In 1796 he published a collection of 24 sonnets, Sorrows: Sacred to the Memory of Penelope, more notable for the intensity of their emotion than for the quality of the verse. 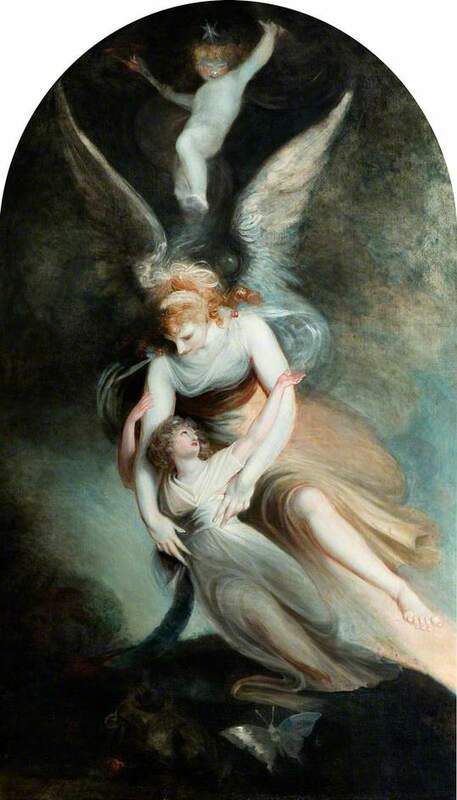 He commissioned from Fuseli the painting now at Wolverhampton, and from the sculptor Thomas Banks (a member of the “Fuseli circle” in 1770’s Rome) a marble memorial which was installed in St Oswald’s church in Ashbourne, Derbyshire. 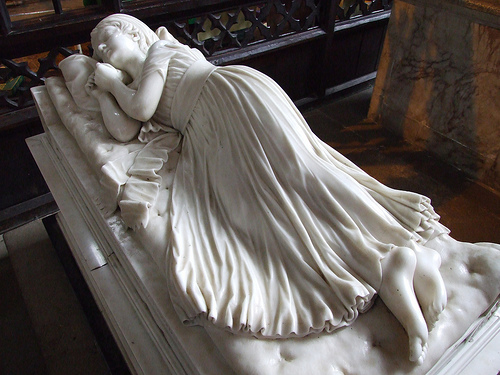 Its plinth is inscribed, heart-breakingly: “She was in form and intellect most exquisite. The unfortunate parents ventured their all on this frail bark. And the wreck was total.” Boothby is said to have interrupted Banks’ carving of the effigy frequently, sitting weeping in his studio. Lo, the mild angel to receive her bends! The spotless shade to her own heaven ascends. To glorious regions, bright with cloudless ray! 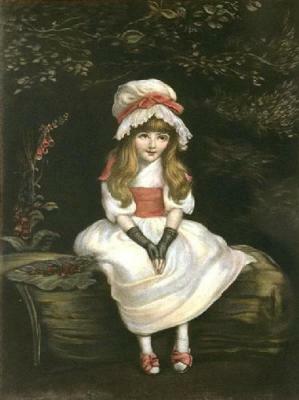 The angel’s wings do not fit accurately on her back, the five year old is presented unconvincingly as a species of miniaturised adult, the broken urn and butterfly at the base are pedestrian, and the puckish features of the cherubic “Day-star”, though typically Fuseli, strike the wrong note here. On the credit side, Fuseli breaks all the rules by using a risky vertical composition similar to his ground-breaking The Death of Dido of ten years earlier, successfully relying on dramatic and technically demanding foreshortening. But the toning down for the occasion of Fuseli’s normal theatrical strenuosity has drained the work of conviction. The painter of a thousand bloody murders was unable to visualise effectively the death of a small child. 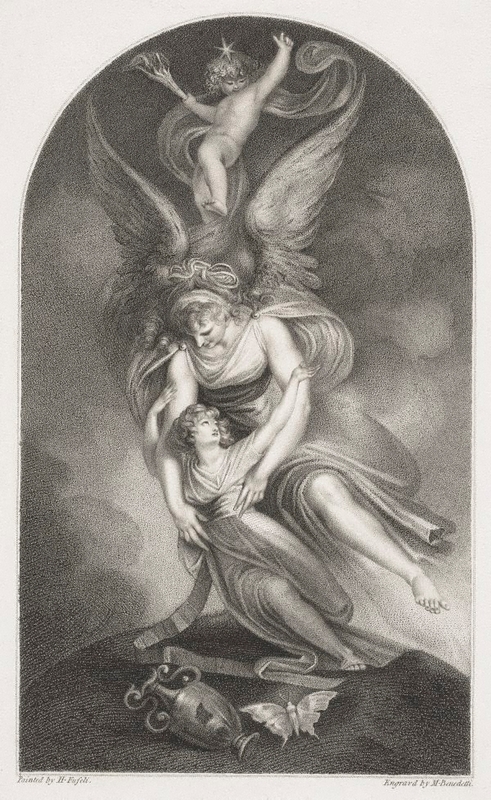 An engraving of Fuseli’s Apotheosis and an image of Banks’ sculpture were bound into Boothby’s Sorrows. 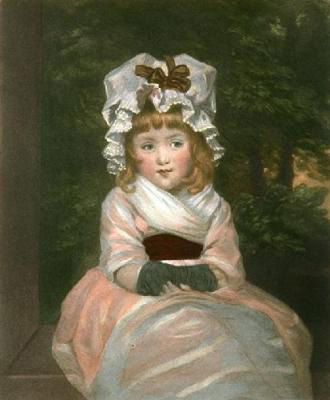 Also reproduced there was an existing portrait of Penelope, aged four, by Sir Joshua Reynolds. This was most definitely not Sir Sloshua’s sharpest effort: the child’s face does not sit well within her curls, nor her head on her shoulders. 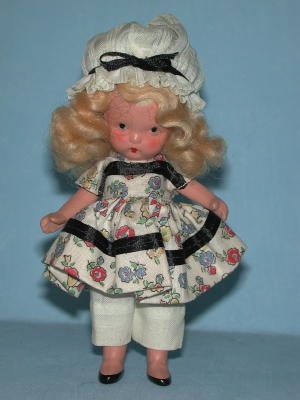 The hands are almost entirely hidden and the legs buried under a shapeless lump of frock. 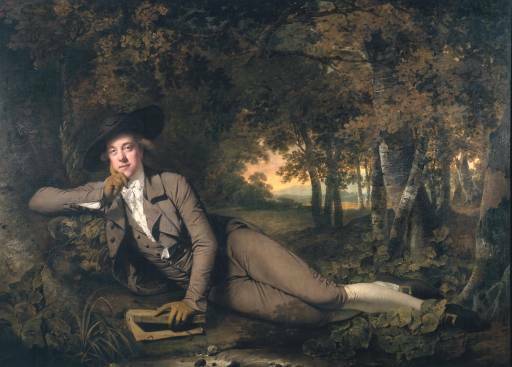 Even so, this modest little portrait came to take on a life of its own that even Sir Brooke could not have anticipated. 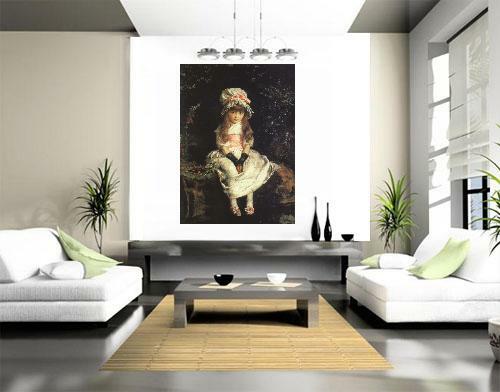 Recycled and commodified through numerous print versions, the image seems to have acquired and accumulated a new currency through the Victorian period. 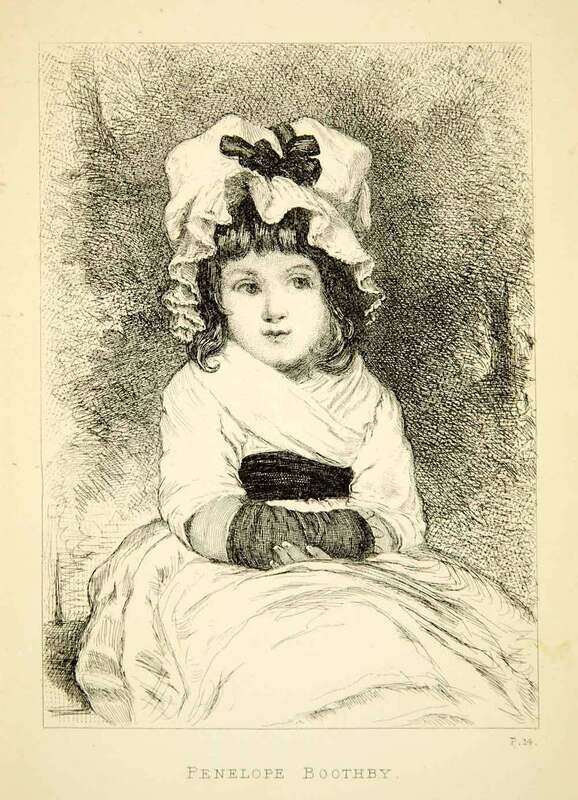 It may have merged in the public mind with similar (though superior) Reynolds portraits of little girls – Simplicity and Innocence – and seems sometimes to have been known popularly as “The Mob-cap”. 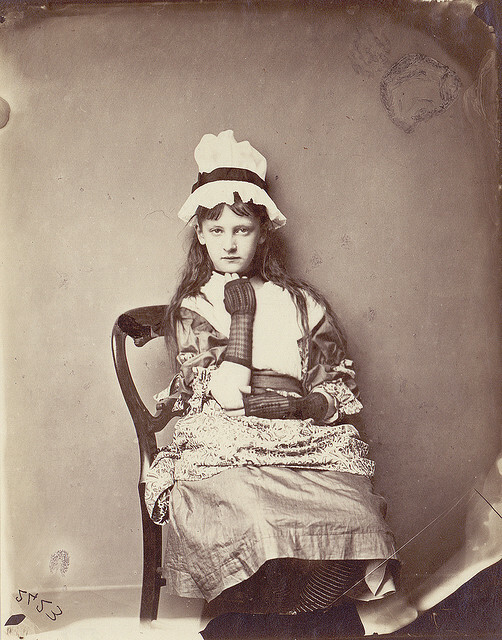 It clearly had recognised potency as an icon of sentimentalised innocence when Lewis Carroll used it in the late 1870’s as a point of reference for photographs of Xie Kitchin (pronounced Exie, and short for Alexandra), a “young friend” whom he photographed repeatedly – obsessively, even – throughout her childhood years in assorted costumes. 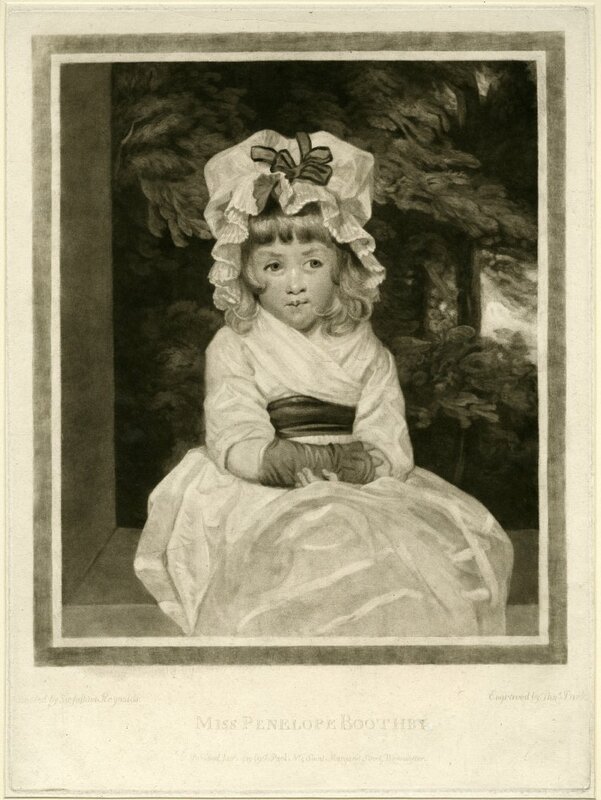 In the “Boothby” poses the sitter is specifically described as impersonating Penelope; the costume is a little approximate, but the mob-cap and gloves are clearly the identifying features. 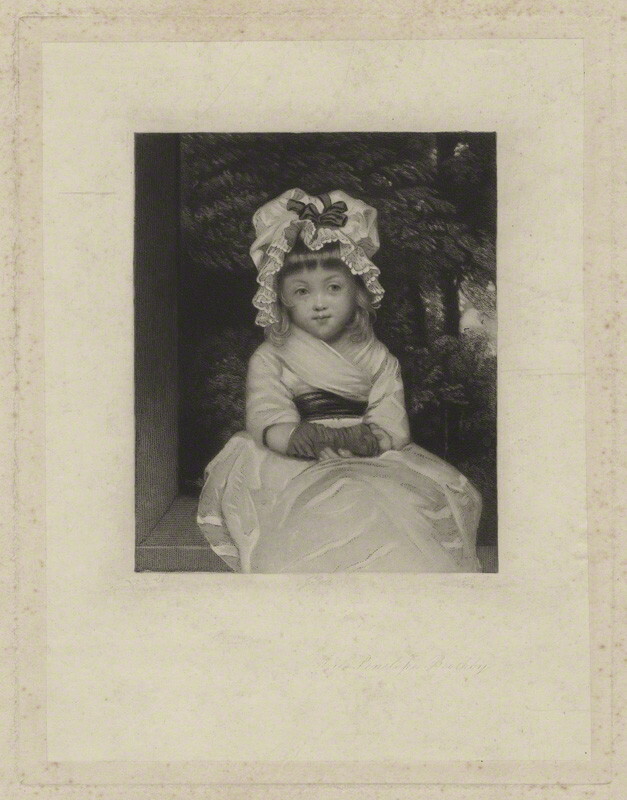 Even when they don’t topple over, Carroll’s photos of children always wobble on the edge of uncomfortable. On this occasion, there is, thankfully, nothing even subliminally sexualised; Miss Kitchin merely looks well bored with the repeated indignity of posing in stupid costumes for this annoying family friend, though by virtue of the situation Carroll exercises a degree of fantasised ownership that we would certainly want to question. But did he use the Boothby reference with full conscious knowledge of the premature death of the original Penelope? That would add a whole extra layer of creepy oddness … Propping up a dead family member for a “post-mortem” photograph was a common Victorian practice, as documented on numerous websites. But in any case, distance alone was enough to grant the image a measure of morbidity. The Victorian era, that age of mourning, multiplied and commodified memories as souvenirs at the same time as a “progressive” sense of discontinuity with the past redefined all its inhabitants as separate in their deadness. 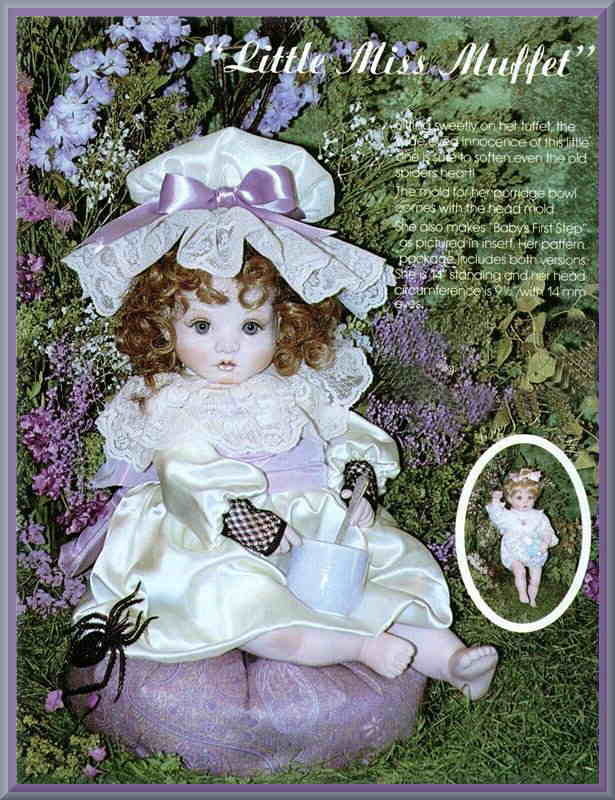 Divorced from actual, personal grief, such an image of “Penelope Boothby” embodied, as a false or appropriated memory, as a kitsch object, a thinned and generalised version of that sentiment. 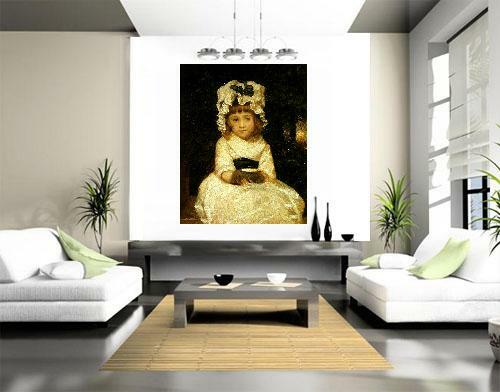 Carroll was not the only Victorian retailer of images of childhood who was alert to the value of this one, and shortly afterwards in 1879 it was cleverly recycled by John Everett Millais, who had long since sold out on his earlier Pre-Raphaelite values. He had already used the mob-cap and gloves in his Early Days of 1873, which kept something of the matter-of-factness of the original. This time Millais retained and amplified the core values of the image, while astutely addressing the limitations of the Reynolds by unfolding the legs, feet and gloved forearms. He also replaced the open and direct gaze of the original with a subtly downcast coyness, which has, to my mind, an unpleasant hint of adult guilt and guile. 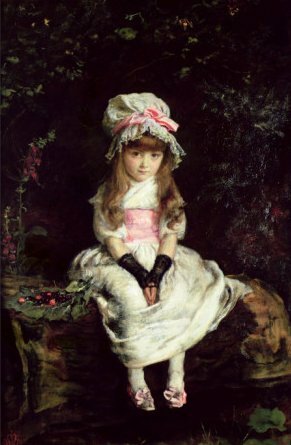 Millais plonked the child on a log next to a few cherries and titled the finished article Cherry Ripe. 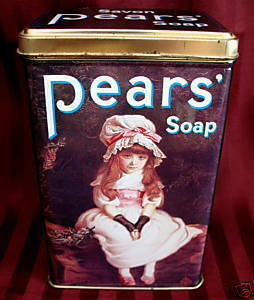 He was onto a winner here, and the image achieved popularity alongside Bubbles on merchandising for Pear’s Soap, where it presumably served within the Victorian mind-set as a signifier of purity. 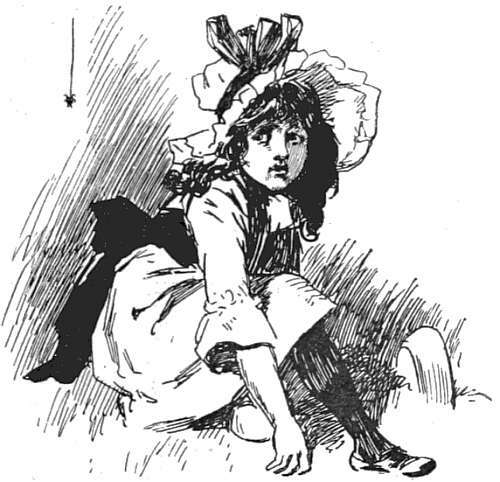 There is an uncanny appropriateness about the conflation of Penelope Boothby and Miss Muffet, given that the spider – unexpected, dark, descending, perceived as deadly – is a clear symbol of sudden death. In a thousand modern nursery rhyme images, mob-capped shades of Penelope confront the announcement of their imminent decease; this moment of knowing, perpetually re-lived, confirms with hindsight the invisible but tragic irony of Reynolds’ original image. And yet, in an extraordinary kind of inversion, this happened precisely at the historical point where the original Boothby identity, mediated via Millais, became lost to public awareness. It is as if the image of the dead child has taken on a life of its own, one of purely private self-awareness concealed within a public, but ignorant, visibility. Or rather as if the unbearable truth could only be released within the unconscious life of the image. 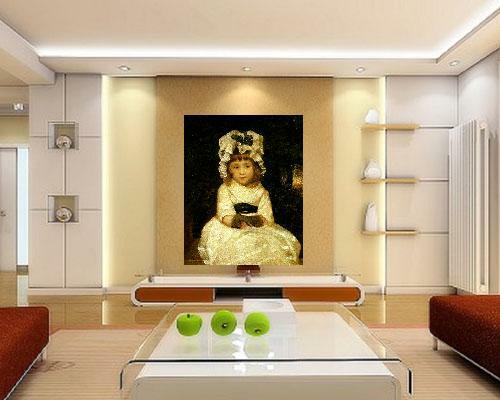 Meanwhile, hovering above the minimalist furnishings of phantom penthouses in digitally generated mock-ups on Chinese “custom oil painting” websites, Penelope Boothby continues to replicate herself, a revenante exiled in a post-modern afterlife of diminishing quality, perpetually in search of new meaning. Just found this while researching family history. 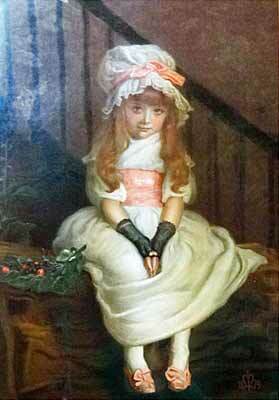 I’m a Boothby descendent called after Penelope, like my mother, another Penelope Boothby. She told me that according to family history Penelope used to run away to Reynold’s studio to watch him paint. 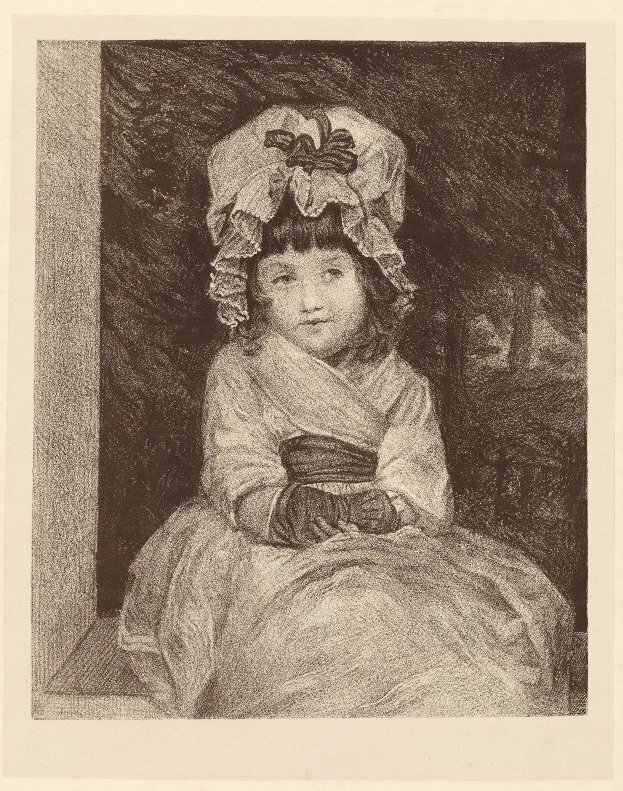 One day he said ‘I’m going to paint you, Penelope,’ whereupon she sat down crossly and said ‘no you won’t.’ The mob cap he plonked on her head actually belonged to Reynold’s mother and was never worn by children then – as far as I know there aren’t any portraits or pictures in which they do. Of course family hearsay several generations later may be wrong, on the other hand it was passed on to my mother by her aunt, great granddaughter of Penelope’s uncle – so who knows. 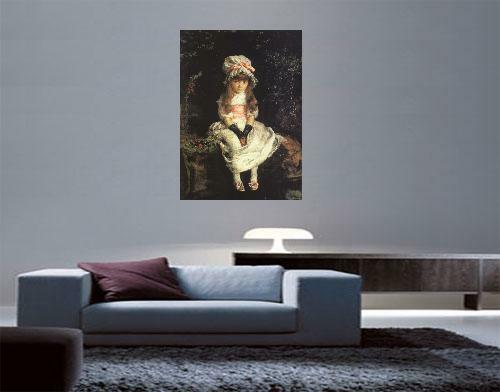 Penelope – in a print – sits on my wall looking at me at this very moment.